Note: I originally published this post on The Sparrow Tree Square Blog on August 17, 2012. It is one of a handful of Sparrow Tree Square posts that I'm moving over here, where they better fit. My family and I often share recommendations for books, movies, and music with one another. Usually we follow up on these recommendations right away, but sometimes for one reason or another we'll put off checking out whatever it is the recommender insists we'll enjoy. In the end, though, we almost always enjoy these things in spite of our initial reservations. This process occurs often enough that we even have a shorthand phrase to refer to it--and that phrase is "Chariots of Fire." The shorthand first came about when my parents were dating. My father suggested that he and my mother watch Chariots of Fire, a film about British runners in the 1924 Olympic Games. He had seen the film already and had enjoyed it, but my mother wasn't entirely sold on the concept. She put off watching the film for quite some time, presumably giving in only after all other viewing options had been exhausted. As it turns out, she loved the movie. In fact, it remains one of her favorites to this day. Years later, when I was around sixteen or seventeen, my mother suggested that we watch Chariots of Fire together after recording it on our DVR. I had heard the story of how she resisted watching the film many times but somehow I wasn't convinced that I, too, would enjoy the film. Not being a fan of sports in general I thought that I'd most likely by bored. I only gave in and agreed to watch because it was a period piece and British, two attributes I generally enjoy in films. Of course, just like my mother before me, I was surprised at how much I enjoyed watching Chariots of Fire. There was so much more to the film than I had first imagined, and I wasn't bored one bit in spite of my lack of knowledge of or passion for sports. When my mother rented the film to rewatch not too long ago, I didn't hesitate to sit down and watch with her. 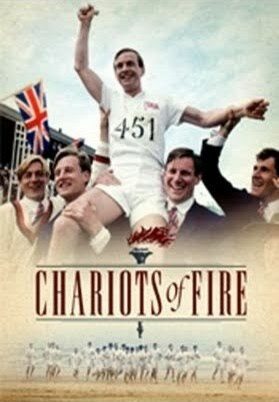 So now, whenever my mother, father, sister, or I recommend something to read or watch and are met with a less than enthusiastic response, we simply say the magic words of "Chariots of Fire." Eventually, the other person gives in and reads the book or watches the movie in question--and the recommender gets to gloat when the other person admits the recommender was right all along.